netUP nuMotus Cloud is an internet cloud based solution to enable transfers between multiple destinations. The internet transfer service is hosted by netUP and a potential customer can connect to this service via any commercially accepted internet connectivity, e.g. ADSL, own network, 3G, 4G, HSDPA, etc. 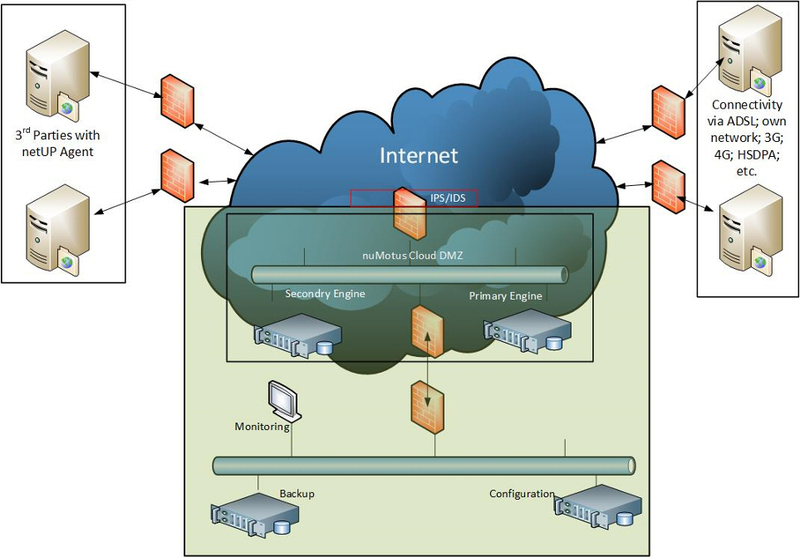 The customer installs the small netUP nuMotus Agent on any server (Windows, UNIX or Linux) or workstation that is connected to the internet. The customer must then ensure that ports 8022 is open to netUP services and the agent will automatically establish the connection to the nuMotus Cloud service. The destination path is defined and the business rules defined for sending and receiving files. Send and receive directories are automatically created during installation and as soon as a file is placed in the send directory, the process will automatically transfer the file to the defined destination. Visa versa for incoming files. A browser based screen is available to the customer to monitor the status of all transfers.How does it work? What does the nuMotus Cloud solution provide? By implementing the netUP nuMotus Cloud Solution you will…..